A perfect accent for a front hallway or living room, this console table has classic design elements and a worn vintage finish. The table has traditional features such as square bun feet, crown molding, and a wide beveled front on the drawers. For storage, the table has two shelves and two drawers. 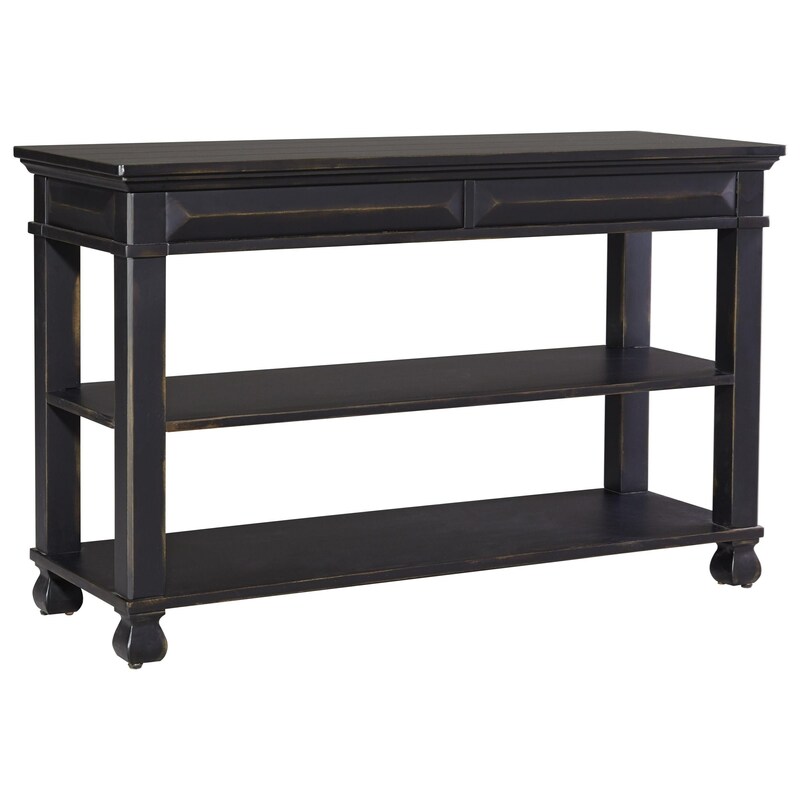 The Passages Console Table by VFM Signature at Virginia Furniture Market in the Rocky Mount, Roanoke, Lynchburg, Christiansburg, Blacksburg, Virginia area. Product availability may vary. Contact us for the most current availability on this product. This collection of accent furniture features bold traditional design elements and a vintage finish. Each of the pieces also has shelves or drawers providing convenient storage space. The Passages collection is a great option if you are looking for Traditional furniture in the Rocky Mount, Roanoke, Lynchburg, Christiansburg, Blacksburg, Virginia area. Browse other items in the Passages collection from Virginia Furniture Market in the Rocky Mount, Roanoke, Lynchburg, Christiansburg, Blacksburg, Virginia area.